Juniors, the time is now! I wouldn’t wait another minute. The first official SAT test date in 2019 is March 9. The ACT will be given on February 9. That’s only days away! If you haven’t already started preparing, start now. It’s never too early to start preparing for the SAT & ACT. Don’t let anyone tell you to wait! Except for the first round of PSAT’s that you take in the 10th grade, it’s not a good idea to take these tests cold. And actually, even when you take the PSAT’s for the first time, you should take at least one practice PSAT test first. That way you will be familiar with each section of the test, with the way the questions are asked, with filling out the Scantron, with how much time you can spend on each question. You can find a lot of useful information on the PSAT on the College Board website. You won’t have to waste a second with logistics. You’ll be able to get right down to business! 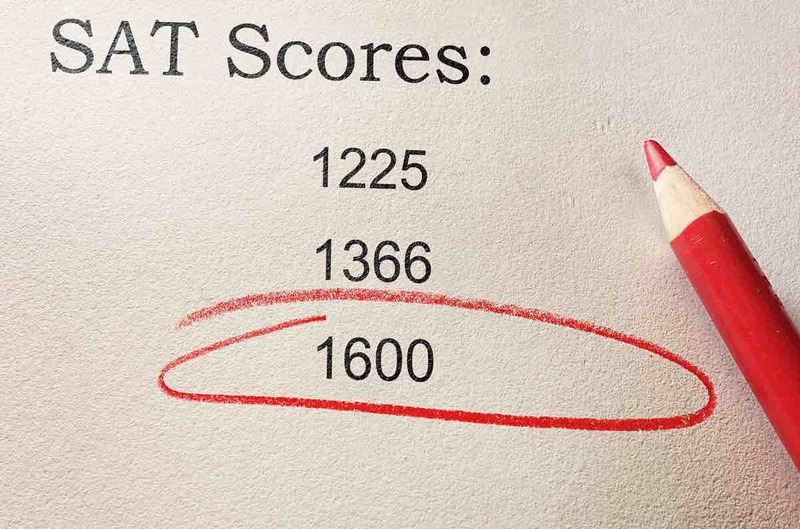 The SAT and ACT tests are standardized. Everyone at all levels takes the same test. But that doesn’t mean they are straightforward. These tests contain tricks. You need to be prepared in advance for the kinds of questions you will find in them. And its best to have an arsenal of strategies, tips and techniques at your fingertips when you walk in the door. I have been doing SAT and ACT test prep for upwards of twenty-five years. I have raised student’s scores as much as 300 (total) points on the SAT and 4-6 points on the ACT. That’s nothing short of a miracle. How do I do it? Although many opt for the big guys — Princeton Review, Elite, Study Smarter, Kaplan, Score, Ivy West, Revolution, The People’s Test Prep, Achieve — I have found that students who take these courses burn out before they get to the level they need. These test prep services are like puppy mills — a corporate approach to an intimate and unique experience. By the time students come to me after taking one of these courses, they can hardly stand the sight of a word problem or a reading passage. They’ve been asked to take a test a week for sometimes two months with 5-50 other students. There’s not enough time to go over every problem each week, let alone zoom in on each student’s strengths and weaknesses. And so what happens? The student repeats the same mistake over and over. That’s frustrating, fruitless and costly! It’s important to match the strategy to the student. Not every student learns the same way. And not every student takes tests the same way. That’s why one-on-one help is so important. One thing they got right, however. MOTIVATION DOES COME FROM CONNECTION. You have to find the right fit. I only take on about 20 students a year — and they ALL succeed. That’s a pretty good track record if you ask me. And you should ask me. I’ve got the best gig in town 😉 The added bonus is that I can take you across the finish line. Once we’ve got SAT prep under out belts, we can start on the College Essays. Can I help you with that too? I sure can. I’ve written the book on it — The Art of the College Essay. Just to note, for sophomores, it’s also important to do a diagnostic ACT because this test is not routinely given in schools. For some students, the ACT is a better test. I find that my stronger readers who may struggle with math sometimes do better on the ACT. I would suggest you get the Barron’s ACT prep book and the Barron’s SAT prep book. Take the diagnostic tests in both and call me with the results. A higher ACT composite does not necessarily mean the ACT is the right test. This will depend on improvement rate and that can only be gleaned by an expert. I will help you decide which test is best for you and map out a strategy for success in test preparation. Start now. The clock is ticking! UC Personal Insight Questions: You Can Do This! Your story is worth it! That is the message of the video provided by The University of California giving you tips on how to write responses to their Personal Insight Questions. 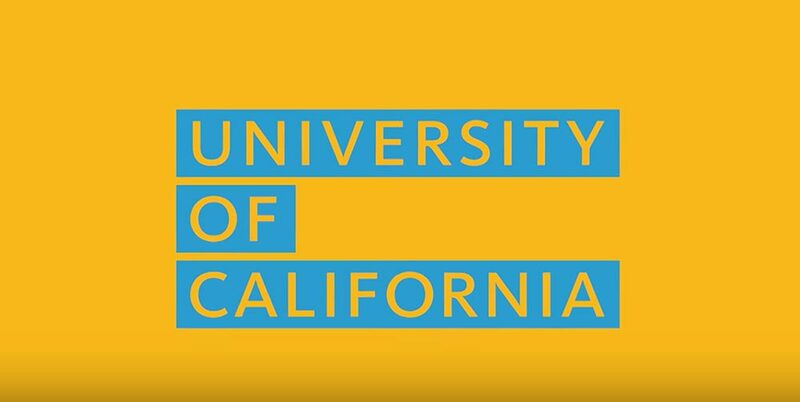 Although the video does not provide an in-depth set of instructions for how to answer The University of California prompts, it does lead you in the right direction. The tips for the UC’s boil down to these seven steps. 1. Read all the prompts first. 2. Jot down first thoughts or impressions. The University of California must have read my book The Art of the College Essay, which lays out exactly the same sequence of steps! 3. Pick a topic that will show meaningful information about what makes you tick, what you have accomplished, how you deal with adversity, what makes you you. 4. FREE WRITE on the topic. Write everything that comes to mind without thinking about grammar, punctuation, spelling or even sequence of ideas. 5. Draft the essay from your Free Write. 6. Get someone to give you feedback. 7. Proofread your essay and get help proofreading it just to be sure it is free of errors. As I mentioned, I not only agree with this advice, it’s exactly what I outline in my book. I have a few other KEY TIPS to add to what has already been said. Sparkly, Driven, Deep and Fun-Loving! You would want to give me four adjectives that reveal unique facets of yourself and that give the most complete and complex vision of you possible. Personally, I would answer: “Sparkly, Driven, Deep and Fun-Loving!” What would you say about yourself? 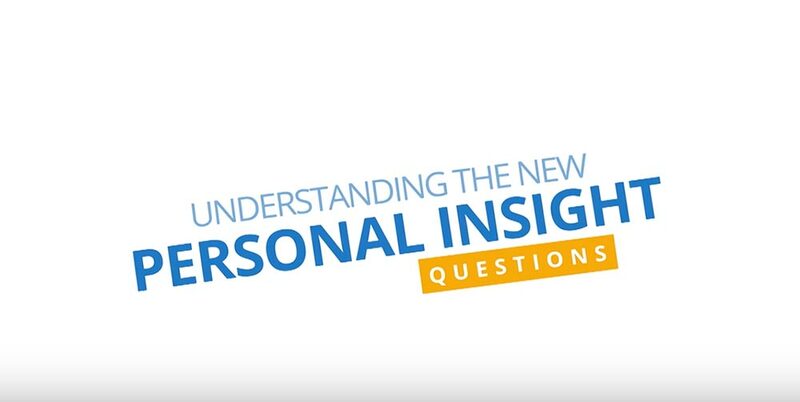 Remember these are “personal insight questions!” This means that you need to have insight into your own person, or personal insight. That’s why it’s important to get in touch with what’s important to you, how you feel, what qualities describe you. My experience has been that most students can use a cut-down version of their Common App Essay for Question #5, which asks you to describe a significant challenge. I advise students to do either #3 or #8 because these are free-form questions in which you can highlight aspects of yourself that haven’t been discussed anywhere else. So that leaves two remaining prompts. Think about aspects of yourself you really want to highlight. This will be unique for each person. Some students will want to talk about leadership (#1), some about their favorite AP Bio class (#6), some about how their penchant for doodling reflects their ability for creative problem solving (#3). The video is right. You can do this! Your story is worth it! What do you want UC to know about you? Here’s your chance to tell us in your own words. You will have 8 questions to choose from. You must respond to only 4 of the 8 questions. Each response is limited to a maximum of 350 words. Which questions you choose to answer is entirely up to you: But you should select questions that are most relevant to your experience and that best reflect your individual circumstances. All questions are equal: All are given equal consideration in the application review process, which means there is no advantage or disadvantage to choosing certain questions over others. There is no right or wrong way to answer these questions: It’s about getting to know your personality, background, interests and achievements in your own unique voice. Remember, the personal questions are just that — personal. Which means you should use our guidance for each question just as a suggestion in case you need help. The important thing is expressing who you are, what matters to you and what you want to share with UC. 1. Describe an example of your leadership experience in which you have positively influenced others, helped resolve disputes or contributed to group efforts over time. Things to consider: A leadership role can mean more than just a title. It can mean being a mentor to others, acting as the person in charge of a specific task, or taking the lead role in organizing an event or project. Think about what you accomplished and what you learned from the experience. What were your responsibilities? Did you lead a team? How did your experience change your perspective on leading others? Did you help to resolve an important dispute at your school, church, in your community or an organization? And your leadership role doesn’t necessarily have to be limited to school activities. For example, do you help out or take care of your family? Things to consider: What does creativity mean to you? Do you have a creative skill that is important to you? What have you been able to do with that skill? If you used creativity to solve a problem, what was your solution? What are the steps you took to solve the problem? How does your creativity influence your decisions inside or outside the classroom? Does your creativity relate to your major or a future career? Things to consider: If there’s a talent or skill that you’re proud of, this is the time to share it. You don’t necessarily have to be recognized or have received awards for your talent (although if you did and you want to talk about it, feel free to do so). Why is this talent or skill meaningful to you? Does the talent come naturally or have you worked hard to develop this skill or talent? Does your talent or skill allow you opportunities in or outside the classroom? If so, what are they and how do they fit into your schedule? Things to consider: An educational opportunity can be anything that has added value to your educational experience and better prepared you for college. For example, participation in an honors or academic enrichment program, or enrollment in an academy that’s geared toward an occupation or a major, or taking advanced courses that interest you — just to name a few. If you choose to write about educational barriers you’ve faced, how did you overcome or strive to overcome them? What personal characteristics or skills did you call on to overcome this challenge? How did overcoming this barrier help shape who are you today? Use the Prompts to Prompt Your Imagination. Things to consider: A challenge could be personal, or something you have faced in your community or school. Why was the challenge significant to you? This is a good opportunity to talk about any obstacles you’ve faced and what you’ve learned from the experience. Did you have support from someone else or did you handle it alone? 6. Think about an academic subject that inspires you. Describe how you have furthered this interest inside and/or outside of the classroom. Has your interest in the subject influenced you in choosing a major and/or future career? Have you been able to pursue coursework at a higher level in this subject (honors, AP, IB, college or university work)? Are you inspired to pursue this subject further at UC, and how might you do that? Things to consider: Think of community as a term that can encompass a group, team or a place — like your high school, hometown or home. You can define community as you see fit, just make sure you talk about your role in that community. Was there a problem that you wanted to fix in your community? Why were you inspired to act? What did you learn from your effort? How did your actions benefit others, the wider community or both? Did you work alone or with others to initiate change in your community? 8. Beyond what has already been shared in your application, what do you believe makes you stand out as a strong candidate for admissions to the University of California? Things to consider: If there’s anything you want us to know about you, but didn’t find a question or place in the application to tell us, now’s your chance. What have you not shared with us that will highlight a skill, talent, challenge or opportunity that you think will help us know you better? The process of answering these question will give you personal insight you might not have otherwise had. In fact, I often have students do the UC Personal Insight Questions as a way to locate a juicy topic for the Common App. From your point of view, what do you feel makes you an excellent choice for UC? Don’t be afraid to brag a little. Need more help? I am an absolute expert on helping students find exactly the right topics and finding ways to express themselves clearly and effectively with style! You’re not alone. Reach out now to get personal, expert, stress-free help! Oh, The Places you Can Go! The irony of the college essay is that students are asked to write the best essay of their lives in a form they have never learned. It would be naïve to think that one learns to write in a vacuum. One doesn’t learn to speak in a vacuum. In fact, one needs to imitate in order to learn. Imitation is the highest form of praise — and one of the greatest and most under-utilized tools for learning. As a young New York City Poet-in-the Schools, I remember being taught by the great poet Kenneth Koch how to teach students who had never written poetry to write poems. Dog where did you get that bark? Dragon where did you get that fire? Kitten where did you get that meow. Rose, where did you get that Red? Bird, where did you get those wings? What Koch also taught, using “The Red Wheelbarrow” specifically, is that in writing, as in life, really so much depends on so little. The words we use everyday (mostly) were already there when we got here. No one has cornered the market on language. Maybe a student has read a few personal essays in their high school career. Maybe Annie Dillard or Richard Rodriquez. Perhaps they have been asked to write a “reflection” on something they have read in class. But a Personal essay? Most students have never even seen one, let alone been taught how to write one. To be honest, if students were being taught how to do this, I would be out of a job! Experience has taught me that most students don’t even really know what a personal essay is. So it’s good to show them. I have a few favorites that I use to demonstrate the breadth and scope of what’s possible – both in terms of subject matter and of style. I am always amazed by my student’s responses to the model essays I read to them. I like to show them that the field is not only large but infinite so they can play in it and find a path that is truly their own. The truth is college essays can be about almost anything. A lot can be learned by seeing what others do. Google Best College Essays and you’ll get a sampling. From there, it’s amazing the places you can go! Here’s a sample sample 😉 Thank you, dear Miranda Dickerman! Here’s her Common App. Got her in ED to a great school! PROMPT: Discuss an accomplishment, event, or realization that sparked a period of personal growth and a new understanding of yourself or others. “Why do kids come here? There’s nothing to do,” was what a representative from an organization of Jewish camps said visiting Camp Tawonga, where I feel strong and beautiful and whole. It’s in the advertisements, on the website, on my counselors’ lips — kids come to Camp Tawonga because there you are your best self. Although I am always missing the breeze in the redwoods and the traditions that I love, I don’t feel the hole in my heart that I used to when I was away from camp. It’s sunny June in San Francisco and I’m gardening with seven-year-olds in a vibrant, organic oasis amongst industrial warehouses. I’m at the Southwest Community Center chasing three year old Bismarck who is running and dancing to pop music and yanking me across the cement, eyes fixed on the Caltrain tracks, unwaveringly hopeful for a “choo-choo” to pass by. Behind the glass doors, his mother hugs Judge Kelly because she helped her regain custody now that she is sober and ready to give Bismark the love he deserves. I see the hope in their eyes and my chest warms. I’m holding my brother’s hand on the bus, I’m composing a song for my violin. I’m running in the forest, I’m prepping for a debate, I’m laughing with my best friend, puzzled over setting up our tent. I have learned that being my best self is not dependent on location. I don’t need to be at camp to be my best self because I am my best self when I am open, learning, and I can see the love within other people and feel it in myself. I’m my best self when I feel helpful, grateful, and in the present. I find joy and love in places I never knew I would ever find myself. My best self is ready to fight against the incomprehensible injustices that I see in the world and stand up for what I believe in. “Oh my gosh!” my dear friend Frances says, her red nails picking away at the netting covering the bush. “There’s blueberries,” her eyes shining. We pull the light and chalky berries off the bush.I have never seen something so perfect. I’m taken aback that nature has created this. I think of the canyons and forests I have explored and of those that I still haven’t. The sun is shining onto the bricks of the garden and we talk about “how lucky we are” to have each other and to be girls who are as thrilled as anything to eat one delicious blueberry on a glorious June day. I close my eyes and envision myself and my friends. We’re living out our childhood fantasy of owning a farm and raising families together. We run a library. A pre-school. A home for refugees. But maybe we’re cities or worlds apart and only talk over Skype. I’m doing research on genetic diseases or studying upside down catfish and saving habitats. I’m a social worker. A senator. An entrepreneur. There’s an unfathomable number of paths that I may follow, and I am excited rather than scared. I am learning to be a woman who follows her heart and seeks help when she needs it. No matter what path I take, I will find joy in helping others, and I will remember how to find happiness and pride. I will surround myself with people who make me feel lucky. I can think of at least one moment from any given day that I wish I could fit into this essay. There’s a baby on the corner, and the bus driver smiled today, and we are alive. It is always worth the extra moment it takes to remember that you’re surrounded by beauty. I am infinitely lucky to have a life that has given me the time and space to embark on this journey of self discovery. Writer, Independent College Counselor and Former Admissions Director, Gabrielle Glancy is a Writing Guru who has taken thousands of students successfully and relatively painlessly through the process of writing the single most important essay of their lives. Gabrielle Glancy is Founder and Director of New Vision Learning, Series Editor of Best College Essays, an avid Blogger and author of a forthcoming book on the subject. To learn more about how to write that all-important College Essay or how to navigate the process, visit her blog at http://www.newvisionlearning.org and join the conversation. You’re not alone! Writing is one of the most difficult things you’ll ever do. Writing is one of the most difficult things you’ll ever do. Let’s face it: Writing is hard! That’s why I have a job! Everyone faces writer’s block at one time or another. The fact is, freeflowing, easygoing when it comes to writing college essays, or writing anything, really, is rare! There are those moments, but they are few and far between. I like to say that when you experience a moment in which an essay seems to write itself, it’s a dangerous piece of luck! You expect it to happen next time you sit down to write, but lo and behold, you hit a roadblock! Narrative Personal Statement? What’s that? You have been trained to write in one form, and one form only — the analytical essay. But the college admission essay is a narrative personal statement. It’s a story essay that must grip the reader from the first word to the last. 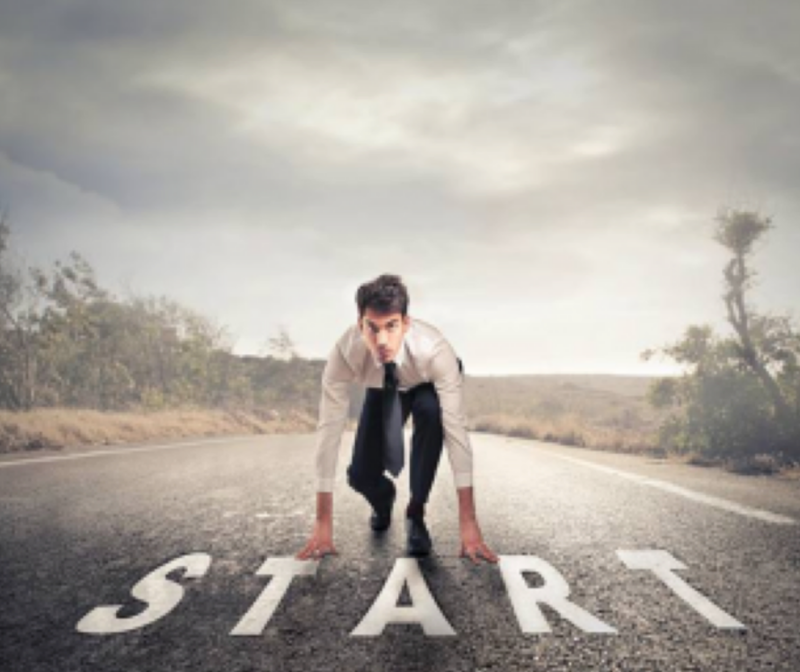 You start and stop, start and stop. ” This sounds ridiculous,” you say to yourself. Or, “How shall I begin?” Editing writing is a killjoy. You have to really avoid doing that. In addition, even though you’ve been taught to write an introduction first, it’s the worst place to start writing. How can you introduce something before you know what you want to say? And of course, that part of your brain that organizes, analyzes, introduces, edits and proofreads takes over and squashes out all the creative ideas you might have had if you felt free. What they really want is an authentic expression of who you are, the challenges you have faced, how you have dealt with adversity, what floats your boat. As soon as you start worrying about pleasing the admissions committee, you’re sunk. The most powerful essays I’ve read are those that tell a real story about a real person facing real life circumstances in a uniquely personal voice. You must find your story and tell it from your heart. So how do you get UNSTUCK? I have a few key tips for you that come from personal, and many years of, experience! And of course, my book The Art of the College Essay is a treasure trove of tips and strategies for avoiding, or getting you out of the hole! Get your hands on a bunch of winning essays. You can find some here in Best College Admissions Essays 2014 & 2016. You won’t like all of them, but that doesn’t matter. Find the ones you like and learn from them. Use them as models for your own writing. Locate “moments” and write about those, e.g. the moment you realized you didn’t need to be nervous to get an A, the first time you picked up a tennis racket, the moment you watched the sunset with your grandmother . . . Then Free Write on these moments. You’ll hear me speaking about Free Writing A LOT! That’s because it is the single most important weapon in your arsenal. Free Writing involves writing everything you can think of, in no particular order — you don’t even need paragraphs — until you have no more to say. Fine to write stream-of-consciousness. Remember you’re trying to bypass monkey (analytical/critical) mind. Only requirement: Full Sentences! Focus on specifics. Use real names, real places in your descriptions. Remember you want to “SHOW” wherever possible. Showing involves 1)Action 2)Dialogue 3) Description. Take a break. If you’re really stuck, you may need a change of scenery. Shoots some hoops. Take a swim. Have a sandwich. And come back to it when you’re fresh. There’s no secret to writing. It’s magic and hard work all rolled into one. I had a friend when I was a kid who had Japanese fighting fish. One night, during a sleepover party at her house, one of them devoured the other. I remember staring at them for a long time before hitting the sack — their fancy, elaborate blue fins like diaphanous curtains swaying this way and that in the clear, illuminated water of the fish tank. We went to sleep and they were fine. We woke up and remnants of blue were floating in the murky water of the tank. To keep Japanese fighting fish, you must put up a glass barrier so that they can see each other, but will not eat each other alive. So it is with The Creator and The Critic. If you let them near each other, the critic will ALWAYS win. It will, in fact, devour that small, still voice within. The creative voice, in most of us anyway, is like a gossamer thread in a field of snow. It must be cultivated and protected. Don’t let the INNER CRITIC near it, especially when writing something as important, and therefore, “critical,” as the College Essay. Freewriting is a way to tame the beast. After all, in a freewrite, there’s no need for structure or organization; you don’t need to know what you’re talking about; you don’t need to spell things correctly; you don’t need to begin, progress and conclude. All you need to do is write your little heart out – in FULL sentences. It’s a kind of focused stream-of-consciousness. That is, you write as much as you can, as fast as you can, without attention to organization or grammar — but you write it on the subject you have identified. I go into this in much greater detail in my book The Art of the College Essay. I remove my glasses, pull a stocking cap down over my eyes and type the first draft single-spaced… in the actual and metaphorical darkness behind my closed eyes, trying to avoid being distracted by syntax or diction or punctuation or grammar or spelling or word choice of anything else that would block the immediate delivery of the story. I write an entire scene or section on one side of one page, in a very concentrated and incomplete way. I’m trying to avoid allowing the analytical part of my mind into the process too soon. Instead, I’m trying to stay in touch with subliminal, subconscious impulses and to get the story down in some spontaneous way. From the FreeWrite, you can do the job of search and rescue: Excavating and Organizing. You’ll get good at this if you keep doing it. When you do get good, don’t get seduced into thinking you can skip this step. Or let’s put it this way, when in doubt, FREEWRITE!